Dr. Hendrik F. Vorwoed was the man who conceived and implemented the notorious apartheid system. Born in Amsterdam, Vorwoed grew up in Rhodesia and South Africa. He quit his job as an editor to represent Dr. D.F. Malan’s National Party in the Senate. In 1950, Malan made him the Minister of Native Affairs where he rolled out segregation programs intended at hiving off Black reservations as autonomous states. In 1958, the man who once said that Africans were meant to be ‘hewers of wood and drawers of water’ became the Prime Minister of South Africa. In a video hosted by British Pathe, Dr. Vorwoed is delivering his opening address at a ceremony to mark the Jubilee of the Union of South Africa at Milner Park, Johannesburg when shots ring in the air. The assassin, who shoots Vorwoed twice at point blank range, is a rich English businessman called David Pratt. One bullet hit the PM on his right cheek and the other his right ear. The President of the Witswatersrand Agricultural society knocked the gun off Pratt’s hand before he could shoot again. Security men then overpowered and arrested him. Pratt, a mentally disturbed man who had tried to commit suicide thrice, claimed Vorwoed was the ‘epitome of apartheid.’ The troubled assasin committed suicide while being held at a mental hospital in 1961. Vorwoed survived the attack but would not be so lucky the next time someone tried to kill him. In 1966, he was killed in the South African parliament by Dimitri Tsafendas, a uniformed parliamentary messenger. Tsafendas stabbed him in the chest and neck four times, fatally wounding him. On October 26, 1954, the man who would become Egypt’s most famous leader survived an assassination attempt. Then the Prime Minister of Egypt, Gamal Abdel Nasser was addressing a crowd at the Midan el Tahrir (Place of Liberation, popularly known as the Tahrir Square). Sometime during the speech, a thirty-two-year-old workman called Mahmoud Abdul Latif aimed a revolver at Nasser and squeezed the trigger eight times. Nasser was unharmed as all the bullets missed him. The plot was later traced to the President at the time, Naguib, and the Muslim Brotherhood. Naguib was stripped of his office and placed under house arrest. 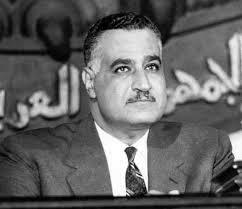 Nasser banned the Brotherhood and executed the plotters. There is something suspicious about the event though. The assassin was a terrible shot even from just 7.6 meters away. It is also rather weird that Nasser barely flinched while the shots rang the air, whizzing past his ears to hit the electric light above. He remained cool during the whole attempt, a little too cool. But he always had that look, that he was a smooth operator. The shots only made him interrupt his speech and scream ‘Let them kill Nasser. What is Nasser but one among many? My fellow countrymen, stay where you are. I am not dead, I am alive, and even if I die all of you is Gamal Abd al-Nasser!” It gave him a reason to remove Naguib from power and deal with the thorny Muslim Brotherhood.